Thanks, Al, for helping Steven greatly improve his batting technique. Your style of instruction is really perfect for him. All of the instruction and feedback is constructive, succinct and targeted. We’ve seen significant improvement in only a few short weeks. It’s also important to keep kids focused and while at times it’s fun to fool around, I’m actually glad you keep his lessons fairly “serious” so that he is able to concentrate on training and walk away with new skills. Thanks again for all of your help! “Al’s credentials and experience as a professional baseball player clearly translates to his instruction. He has the ability to diagnose a problem and correct it. His approach is simple and clear to the student. He uses a building block approach which incrementally builds skill through each stage of the swing including trigger, weight shift, extension and finish. Before he knows it, the student will develop power he never knew he had. “After spending the last 4 years with a dozen or so hitting instructor’s. 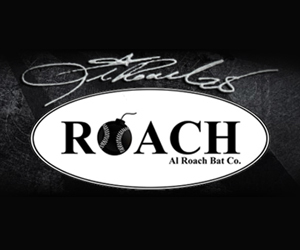 Al Roach has turned my 10 year old son Tim into a hitter almost overnight. His technical approach to instruction far exceeds anything I have seen to date. batting average and slugging percentage went up. After having my two sons to multiple elite baseball camps and instructional courses, I have seen much better results with AL. He seems to communicate much better with the ball players. Al Roach is an excellent batting instructor. He has been working with both of my boys ages 11 and 14 for a few months. I have seen dramatic improvement in both of their power at the plate. He has taught them to drive the ball much further. Now other kids in the area are signing up with Al after seeing the results. Al is highly recommended. After a few short weeks with Al I’m impressed with his hitting techniques and the ability to communicate and transfer this knowledge to both my 11 and 14 year olds. The training is serious and individually focused on a players needs….No one size fits all. Thanks for your help and keep up the good work with the boys. My 11 year old son struggled with batting. The technique that he developed over the years playing ball was not working. Being 11 years old he is getting into more competitive games and with those competitive games there is more pressure to perform. Matt has been taken lessons with Al for about a month now. Already you can see a great improvement on how he is holding the bat and hitting the ball. Al is always positive, up beat and encouraging. He makes sure that Matt understands the reason why things are done a certain way instead of showing him and moving on. He corrects Matt when he is moving wrong and now Matt realizes before Al even has to say anything. There’s good communication and respect between both of them. Al has the ability of keeping Matt focused on the task on hand especially when Matt seems to get a little lazy at times. Already you can see Matt’s confidence build up and his ability of hitting better. I would recommend Al to anyone who wants to improve their skills. Remember not to take our spot as we found Al first. FROM HITTING, PITCHING, FIELDING AND OVERALL BASEBALL SKILLS. AL IS DOING A FABULOUS JOB. HE IS THE BEST I’VE EVER SEEN AT TEACHING BASEBALL. HE IS ALSO BETTER WITH KIDS THAN MOST PEOPLE. HE EXPLAINS HITTING AT A WHOLE DIFFERENT LEVEL. Having a son in AAU baseball in southern NJ, we have seen many instructors and approaches to hitting. Al’s approach is the only one that has shown consistency with my son, to the point of his first two homeruns in tournament play this year. Al has taught my son to hit with power to both fields and have a smart at bat with rarely a strikeout. Arriving early to lessons, we have seen Al produce the same results with children from 7 to 17. Before you spend any money on those big programs, take a lesson with Al, you’ll see results after one lesson. There is no one like Al…he is like a second father to my son. He has a passion to get as many kids as he can to accomplish their life long dreams in baseball…He helps boost each players confidence and self-esteem far beyond what I have seen from any other instructor or mentor. Al has worked wonders with my 12 year old since he started with him. He now has the skill and more importantly the knowledge of how to hit. He even went as far as coming to his game and watching his mechanics. I highly recommend Al to any parent out there. Al is not only an excellent instructor but he is a good person and very genuine. I’m a 5th year senior at Rider University. As a Division I baseball player, my goal is to hit the ball hard to both sides of the field more consistently. Everyone who plays baseball wants to hit the ball harder and further and using Al’s advice, I plan to do so. His technique is proven to work because he uses his personal professional experience along with research. Many big leaguers share Al’s approach to hitting including Prince Fielder, Cody Ross, Albert Pujols, Sean Green, and Mark McGwire; who are all very successful power hitters in the pros. I guarantee your son’s power(bat speed) and batting average will improve if you take his advice and incorporate it into your own game. No matter what age level, Al is the instructor to take your kid’s game to the next level. Watching the videos of your hitters, it is refreshing to see an indoor facility teaching the proper swing. I love how the upper half stays back too. I like the rotation of the hitters hips and how they start the swing and launch the hands into the zone as soon as the front heel hits. Great Guy! I met you in Florida, you dont remember me but I saw you play. Heck of a swing there bud. You hit a ball over a road and on to a roof top. I swear that was the farthest ball I have ever seen hit. Glad you are teaching the kids to follow in your footsteps. If Al teaches the contact point that he has, your in good hands. Al has done a great job with my 10 year old. He is fantastic with the kids. I have learned a lot about hitting from Al, and have applied his techniques to the teams I coach. Staying back on the ball, driving the ball up the middle, and increasing bat speed are all real results of his program. I consistently recommend Al to the parents of my players, and feel that everyone can pick something up from his insrtuction. I wanted to let you know that Travis hit a fly ball and hit the fence in yesterday’s game in Mt. Laurel. He just missed a HR by a few feet. He was so happy. He said to my wife and I that he is hitting the ball so much better and harder because of you. Joey had two baseball games in a tournament this weekend. The first games since having just 4 sessions with you. He went 3 for 5 with 3 walks and hit his first home run of the season over the fence…much improved, thanks for all your help. We are having a really nice pitching camp. Andrew is staying focused and having lots of fun. Your coaching staff is top shelf and adding a great value to the program. After two weeks I’m seeing a change in Andrew in how he is appreciating technique and putting into play. Couldn’t have done it without your guidance. We Drop Bombs is dynamite. I wish I was a kid and could have that opportunity to play again and train with pro players. My son Garrett is 10 years old and just hit his first home run over the fence. On the way home Garrett said “Dad thanks for taking me to Al, I couldn’t have done it without his training”. I agreed with him, Al teaches the proper hitting mechanics that creates a powerful and consistent swing. Garrett has been going to Al for over a year, and he continues to go Al for training. Al is great with the kid’s, and I now know many of the players he trains all kill the ball. Lloyd showed up at Wedropbombs based on a recommendation of a respected coach and friend that told me Al was the best hitting coach in NJ. My son arrived as a hot and cold hitter with a shaky mental approach as well. After a month with Al, his attitude was rock steady, his swing is the most solid it has ever been and he can’t wait to get back to sessions with both Al and his catching coach Scott. Two weeks ago when my son was in a playoff game down 4 runs, he confidently ripped a 2 run triple deep into the gap. I knew our time with Al was well spent. My friend Randy was right. I wanted to write to you so that I could express my appreciation for the hitting instruction you’ve been providing for my daughter Brooke over the last few weeks. Prior to working with you and your company We Drop Bombs, she was barley making contact and rarely hit one out of the infield. Currently that has all changed, she is crushing the ball, line drive after line drive, as a matter of fact in last nights game she hit a bomb that missed going over the fence by 2 feet. The game is so much fun for her now and her confidence is thru the roof. thanks again and we’ll see you at her next session. I wanted to thank you for the excellent instruction I received early in this 2012 baseball season. It was, by far, the best offensive year I have had since playing senior men’s hardball. I hit with more power, driving balls in gaps, and my average went up some 150 points. I ended up leading both divisions of the 45+ SJ men’s league in walks, runs, and finished second in SB. I was near the top in in OBP, as well. To top it off, our team won the championship and I will be playing in the All-Star Game at Campbell’s Field on Sept 16. I hope to be able to pick up where we left off before next season, as I know I have more work to do. Hitting off the tee, by the way, has become a ritual for me. I was 3-7 today. Been working on what ya said. Hit a ball outta Lawrence Dumont Stadium. Talking close to 500 ft. Last few games I’m 9-21 with a bomb/triple/ four doubles. Thanks for the help man seriously. I wanted to let you know what a terrific job you have done with providing my son Sean with instruction in hitting, fielding and pitching. The practices, clinics, and lessons have tremendously helped him. Your coaching knowledge and style create a great learning environment for a young baseball player to develop and improve his skills. Keep up the great job! Based on a recommendation, I signed Jack up for your Sunday night hitting clinic back in November 2013. The baseball expenditures for Jack since that time have exceeded any of our expectations. This is meant as a compliment. Both of you, Carl, Bill, Jim, (and anyone else that I may have missed) have made a positive effect on Jack. His development and knowledge of the game from spending time at your facility over the past 2 years has impressed both of us. Jack has the opportunity to develop a work ethic while playing a game he enjoys. I wanted to let you know your efforts and involvement with the kids are not going unnoticed. As we see Jack getting better, so are his teammates over the past year.